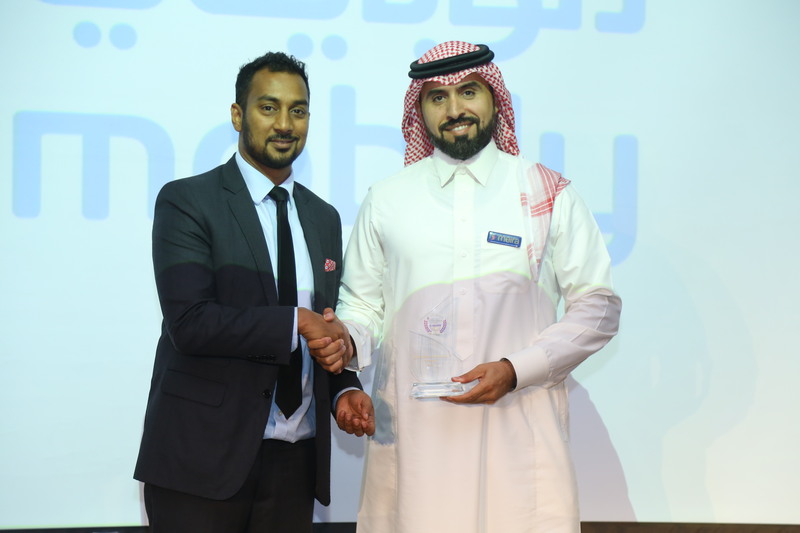 27 September 2018. 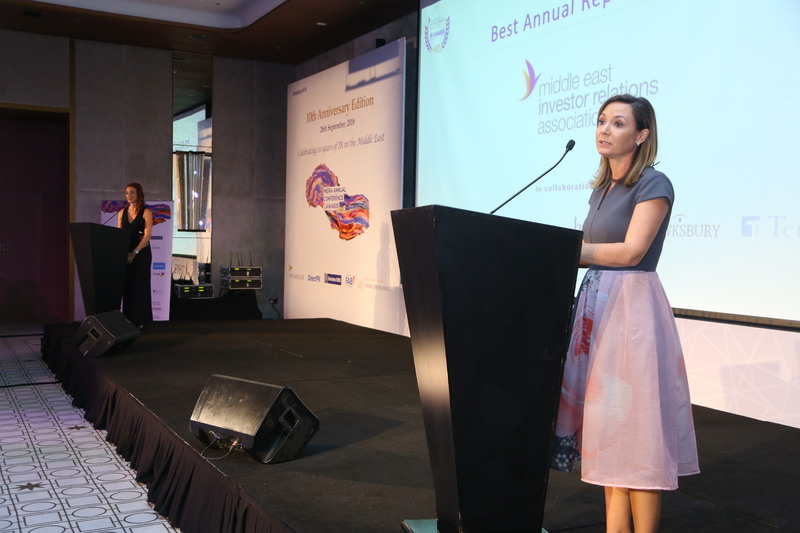 Listed companies as well industry leaders from across the region were recognised on Wednesday during the 10th Middle East Investor Relations Association (MEIRA) Awards Ceremony for outstanding performance in investor relations. 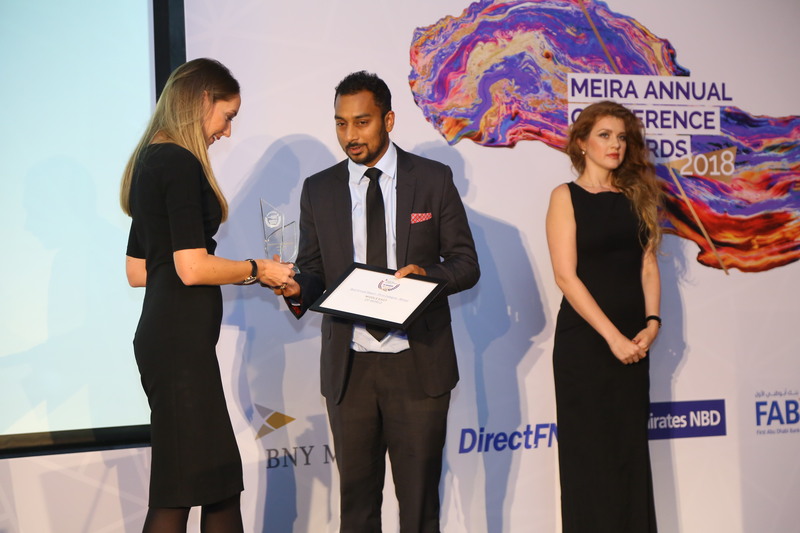 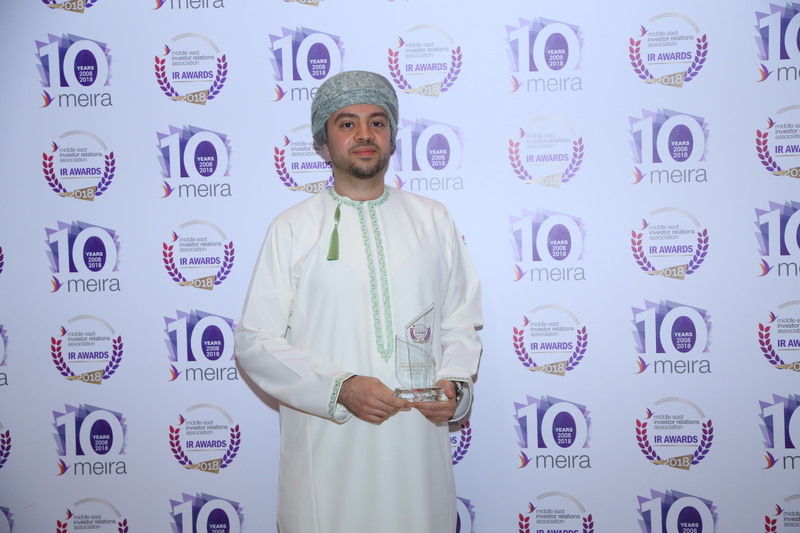 Preceded by the MEIRA Annual Conference, the region’s largest event dedicated to investor relations, the Awards Ceremony was a much-awaited highlight which attracted over 200 of top-tier industry professionals, regulators and stock exchanges as well as representatives of MEIRA’s member companies. 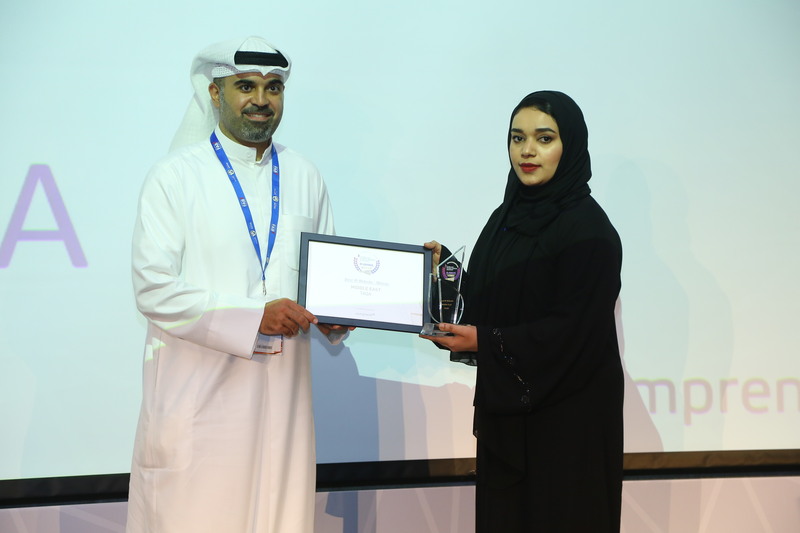 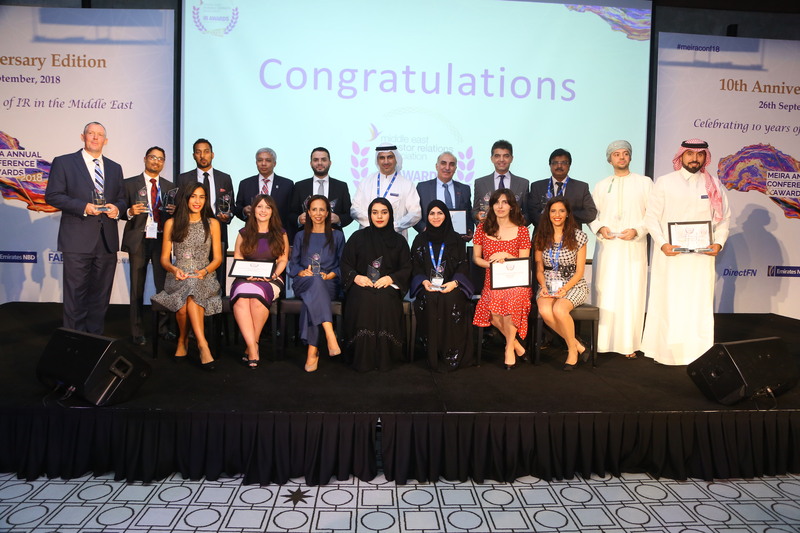 The event recognised the achievements of winners in 22 categories including the best IR teams, annual reports and IR websites in the Middle East. 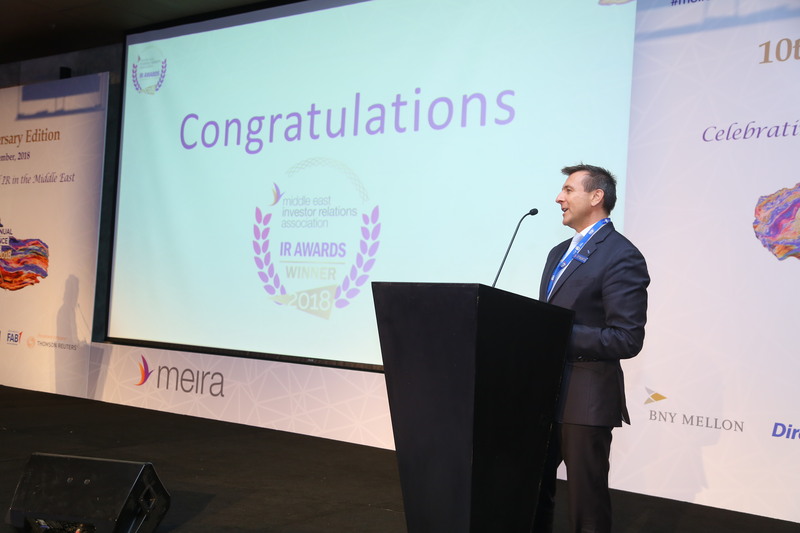 For the first time in 2018, the best annual report was selected through a judging process conducted by MEIRA representatives in collaboration with an experienced panel of experts in this field. 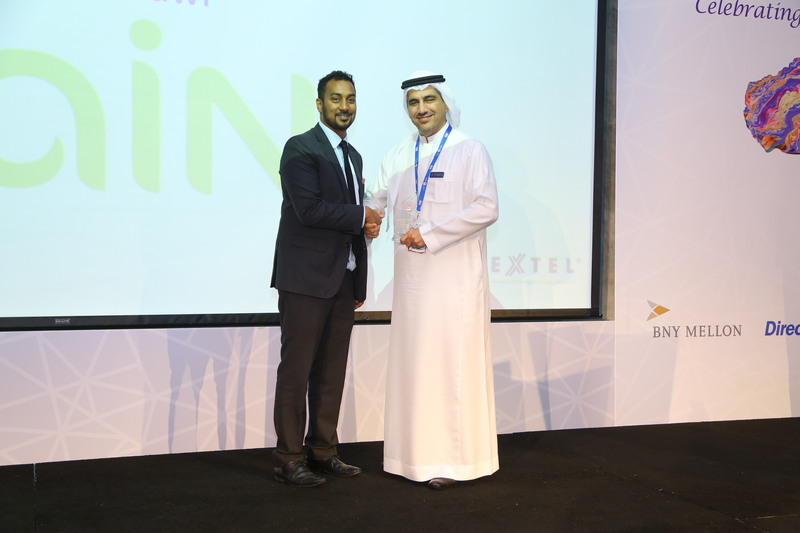 As in previous years, the process to select the winners in the best practice category was run in collaboration with research company Extel, while the best investor relations website was chosen together with Comprend.